July 9, 2009, Pilots, flying with broad spread plane Yak-52, competed in the 2nd FAI World Yak-52 aerobatic championship, organized in Lithuania, Rojunai, 25th June - 5th July. This is a new tradition full of race fever. How the idea was born: The aerobatic plane Yak-52 was started to built from 1979 in Russia (later in Romania) and became the most spread aerobatic plane in the ex Soviet Union. Almost every aero club was provided with Yak-52 in order to teach pilots the alphabet of aerobatics. After the fall of the Soviet Union Yak-52 overspread in the world – now you can find it in Europe, America, Africa, Asia, New Zealand. It is thought, that there are about 1500 Yak-52 planes built. The plenty and popularity of Yak-52 in the world was the mane reason to arrange the FAI World Aerobatics championships in the new category – with the plane Yak-52. „The main idea of this championship is like in the Olympics – the most important is not to win, but to participate. We hope to attract pilots from all over the world“, – seas Arminas Murauskas, Contest director of the 2nd World Yak-52 aerobatic championship. The 1st FAI World Yak-52 aerobatic championship was organized last year in Russia, Novosibirsk (pilots of hosting country became the champions). This year 20 pilots from Russia, Lithuania, Ukraine, Kazakhstan, Estonia, Finland and Belgium participated in the contest. They competed in 4 programs: the known compulsory programme, the free programme and 2 unknown programs. 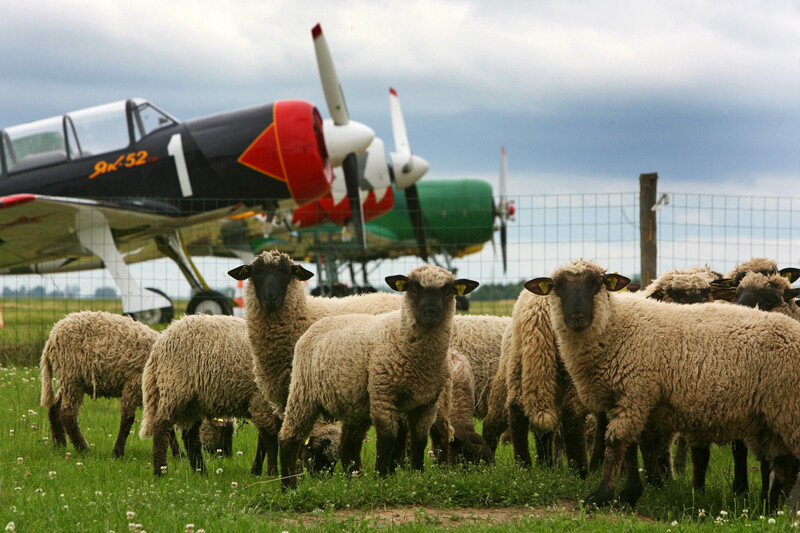 Professionals vs. enthusiasts: In the championship everybody flew with plane Yak-52. Special for this event teams of Lithuania and Ukraine used modification Yak-52TD (plane with a tail wheel), which is licensed by CIVA. In the family of aerobatic planes Yak-52 is used for primary teaching of aerobatics and has less potential to compare with, for example, aerobatic Su planes. Because of it the amount of aerobatic figures flying with Yak-52 is limited, but, according to pilots, aerobatic flying with Yak-52 isn’t simple. Mykola Tarasevich, the Ukrainian pilot with flying experience of 1200 hours in aerobatic, seas: „Maybe the list of figures is shorter, but making them with Yak-52 takes a lot of strengths, because plane is quite heavy and not easy to rule. To do the same with Su planes is more simple“. Nevertheless all the participants flew with the same plane, their experience was quite different. „Russia, Lithuania, Ukraine are the countries with old aerobatic flying traditions, so their pilots have thousands flight hours in aerobatics and are very familiar with Yak-52. The participants from Finland, Belgium, Estonia have only few hundred hours of experience. Unequal level was seen from the first programs, so the favourites of championships were clear“, – seas Contest chief judge Pavol Kavka. However, everybody in the championship competed till the end with zest. The fan of plain Yak-52 Mikko Jagerholm from Finland started to fly with it only form May 2009 and before the competition had only 11 training flights. During the competition he felt enthusiastic: “I can’t compete for the medals, but it’s good to participate here, because you can see the flights of professionals and it’s good learning experience. 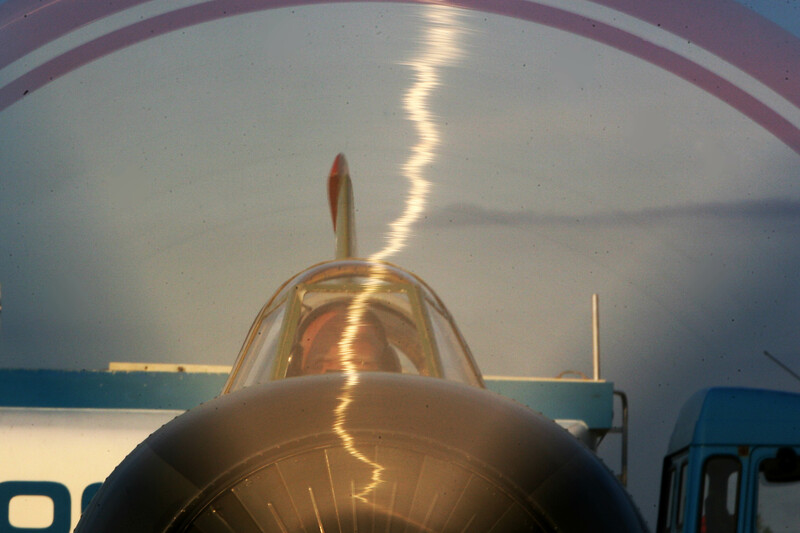 I’m very motivated to improve my skills and compete in the other Yak-52 championships”. Battle between the leaders was quite taut and only the last unknown program clarified the winners. 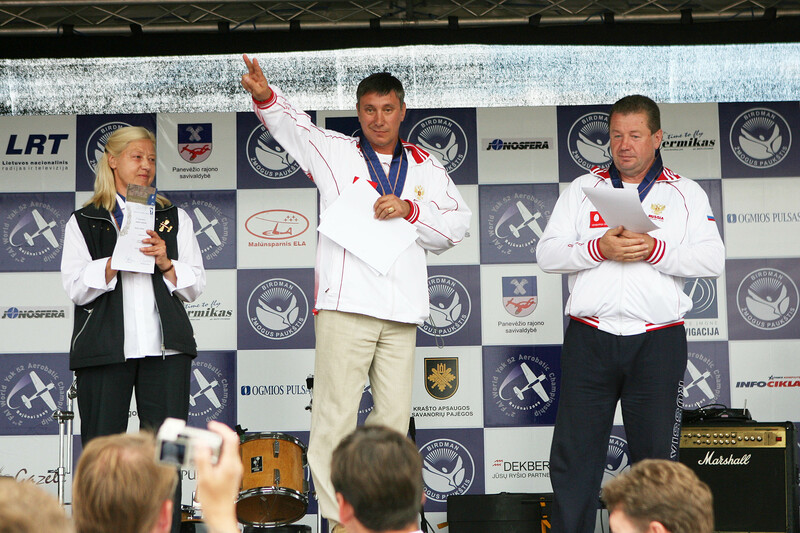 The results and success formula: The Russian pilots again became the world champions. Alexander Myakishev with 8688,76 points won the gold medal, Onute Motiejunaite from Lithuania with 8513,30 points took the 2nd place and Sergey Dadykin from Russia with 8495,09 points was the 3rd. In the account of teams the 1st place took Russia, the 2nd – Lithuania, the 3rd – Ukraine. 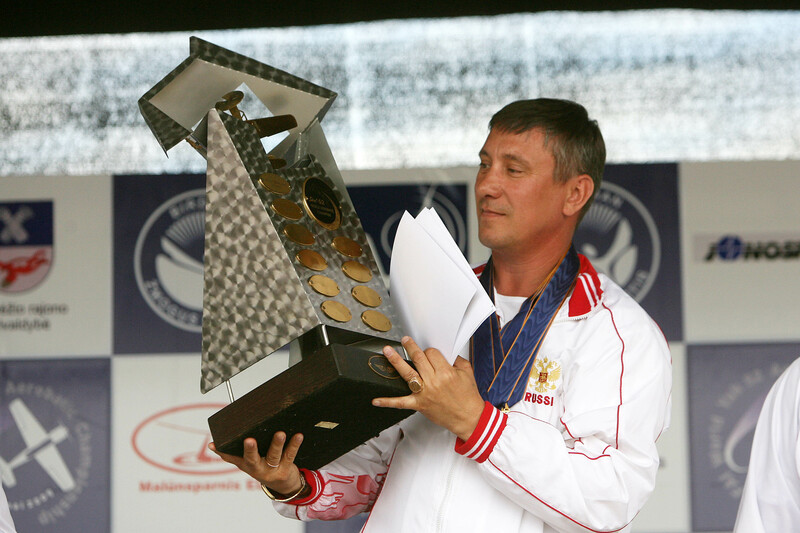 Viktor Smolin, the chief coach of Russian team and ex absolute European and World champion in aerobatic, seas, that to win the World aerobatic championships you need to have: plane, coach, command and teaching traditions. The new world champion A. Myakishev, with flight experience of 1350 hours in aerobatic (in total 5000 hrs), one more time proved the strength of Russian aerobatic flying school. "I used the advices from Joseph Murphy book "The Power of Your Subconscious Mind“. You need to programme your subconscious mind to make what you want and have to believe in it. Of course, there is one small detail – you have to know how to fly“. The 3rd World Yak-52 aerobatic championship will be organized after 2 years. The fans and sportsmen, flying with Yak-52, hope that number or participants will increase.